What is the significance of the ear lobe crease or “Frank’s sign”? 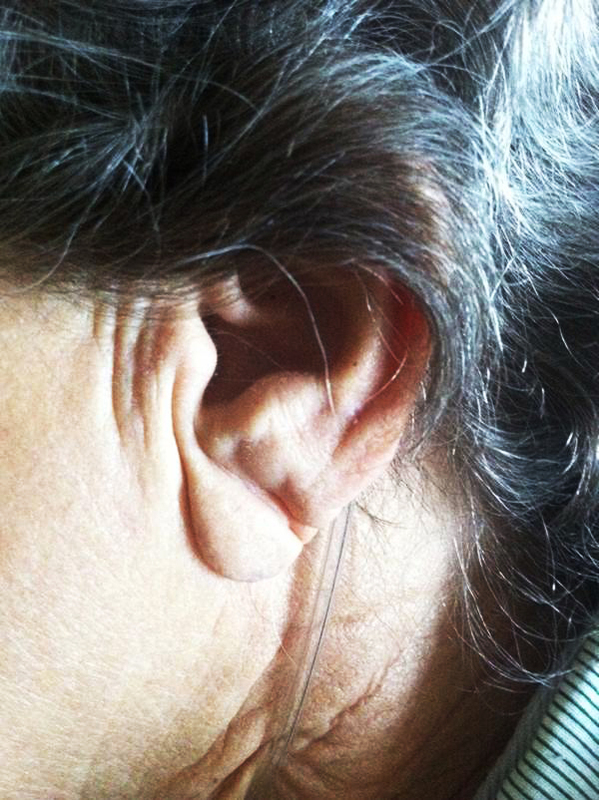 Frank’s sign, a diagonal earlobe crease, is one of numerous extra-cardiac signs of coronary artery disease (CAD), originally described in patients 60 years of age or younger (1). The majority of clinical, angiographic, and postmortem reports seem to support the association of this signs with atherosclerotic coronary disease (1). Although the mechanism for this association is unclear, free radical oxidative stress involved in atherogenesis has been suggested as a possible explanation through its activation of the metalloproteinases that break down type 1 collagen (2). It is fair to conclude, however, that the value of this sign as a screening tool for CAD has not been established and its utility in clinical practice remains uncertain, particularly in those older than 60 years of age.